Discover this amazing beauty service in Verbier, called The Face Bar. It is all about Hair and Make-up artistry. It is our Editor’s pick up of the month. The Face Bar Verbier was created ealier this year in Verbier-Switzerland by Hair and Make-up artist Rebecca Thoirs. Verbier, the place to be. Several festivals are also taking place each year. From prestigious extreme sports competitions, to Horse shows and the world famous Verbier Music festival for Classic music. This festival gathers each year the top international solo artists like Thomas Quasthoff, Julian Rachlin or Julian Lloyd Webber. Rebecca Thoirs is a true artist and has a strong entrepreneurial spirit. She has also fall in love with Verbier, so one thing with another… inspired the creation of The Face Bar Verbier. Here is some explanations that Ms Thoirs brought in exclusivity for LuxuryActivist. She works with only top products and tools. From Chanel, Tom Ford and YSL, she tries all the products, masters in which way she would use each product, so the results are always perfect. Sometimes, it is a pain in the neck to find out what would we like to do as a hair cut. We can always explore hundreds of pages of fashion magazines, but you never know which one would be better. And because of this hesitation, it takes you weeks to go to the hairdresser. The Face Bar Verbier has a special section in the website called “Inspiration Board”. 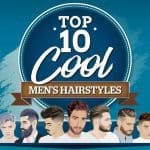 Several hairstyles are presented, so you can already get a professional selection from the best of trends. Each hairstyle has a inspiring name and short yet precise description. You can then use the contact form to make an appointment and give as a reference the hairstyle. Info sourced at the brand official website. All images sources are here and here. All content is copyrighted with no reproduction rights available.